Straight out of HGTV magazine, this decked out 4 year old expanded Prairie Stone model with quaint front porch is as perfect as it gets. There are so many attention grabbers in this home from the moment you step inside. The large foyer open to LR/DR. 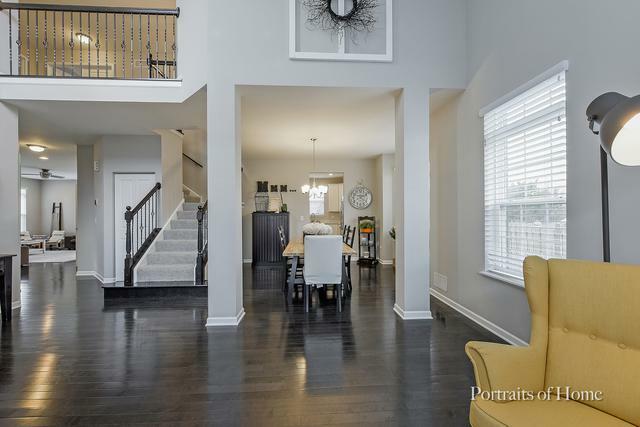 Beautiful hardwood floors throughout the main level. Impressive wrought iron banister to second floor. The stunning white kitchen features island, quartz counter tops, extra cabinetry, built-in buffet counter and stainless appliances and has direct sight lines to the family room hosting a handsome fireplace. 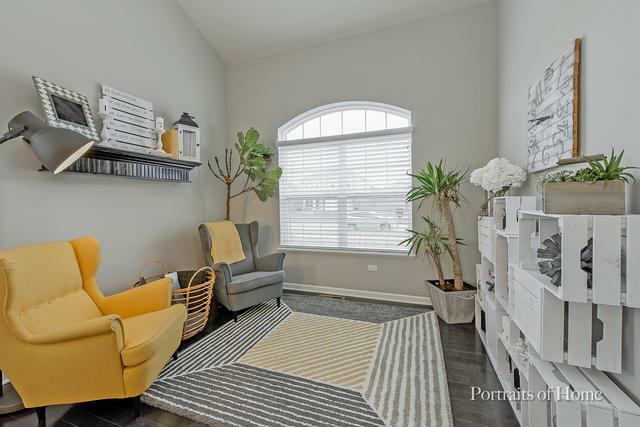 An office, convenient mud room and powder room round out the main floor. Upstairs are three generous bedrooms plus master with grand, double door entrance, tray ceiling, huge walk-in closet and luxury bath. 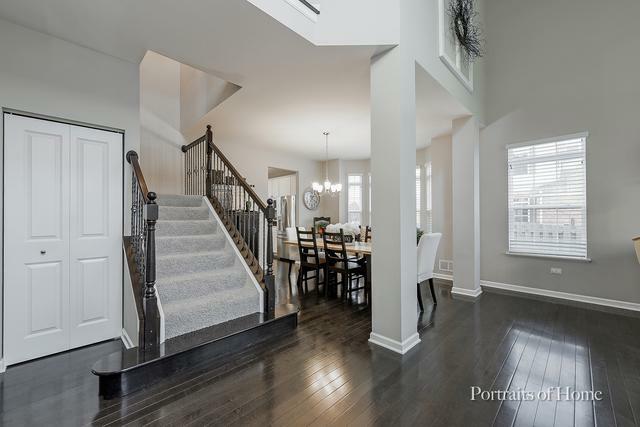 Fantastic finished basement boasts 5th bedroom and full bath. 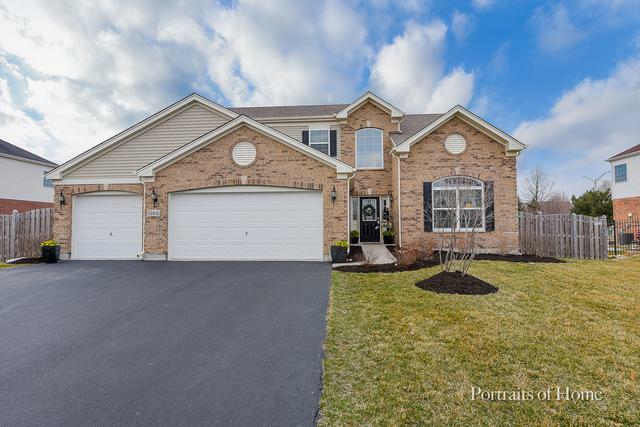 The 3 car garage, fenced yard, district 202 schools, family orientated community and convenient location make this home a perfect fit you! Hurry before it's gone!